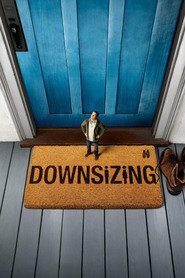 A social satire in which a man realises he would have a better life if he were to shrink himself to five inches tall, allowing him to live in wealth and splendour. Not a perfect movie, but has some interesting things to say about the environment and consumerism. And if you watch carefully, there are even some philosophical ideas that have been around for centuries but are put into a modern context. So there is an intelligent scriptwriter behind it all. Matt Damon is good, as usual. There are some excellent visual tricks and the writing is very witty at times. Unfortunately, by the end of the movie, it becomes overly pretentious. Interesting but ultimately not quite as satisfying as it could have been.